Post where I am aggregating Lithium Ion information and articles. This article is a good starting point though I think it is already out of date concerning costs. It covers a lot of details about the various aspects of Li-Ion that make it a technology far superior to lead acid. From cycle endurance to voltage stability through charge cycle to temperature performance. 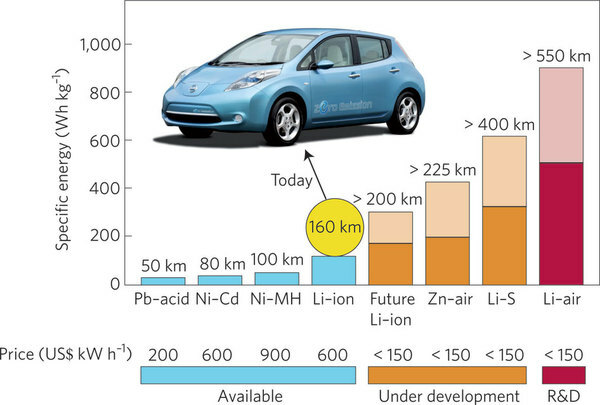 Cycle Life Characterization of Automotive Lithium Ion Batteries – Nice paper studying impact of cycling Li-Ion batteries. 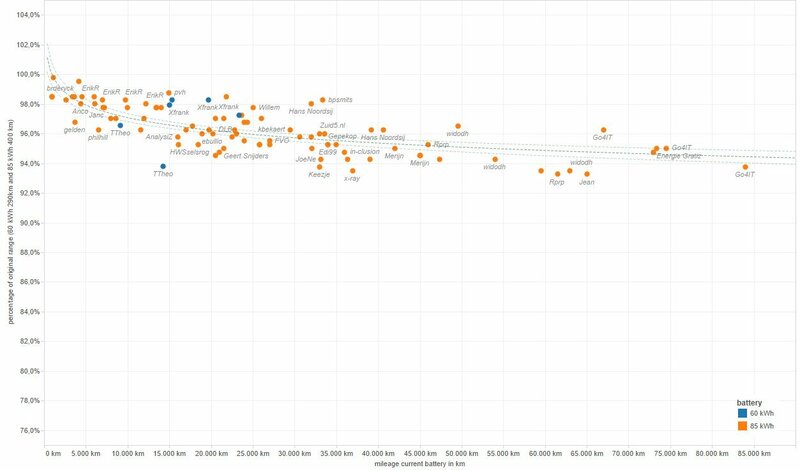 The Graph below shows cycle performance from actual Tesla vehicles. It comes from This Article which has lots more useful data. Cost Projections – This post aggregates cost projection data. Lithium Supply – The link at left has considerable information on Lithium supply and growth in supply. Concerns have been raised about Lithium Ion batteries but it appears that there is good availability of the raw materials and the batteries are highly recyclable so material will be kept in the ecosystem once it enters. An already obsolete but interesting graphic as preview of coming attractions. 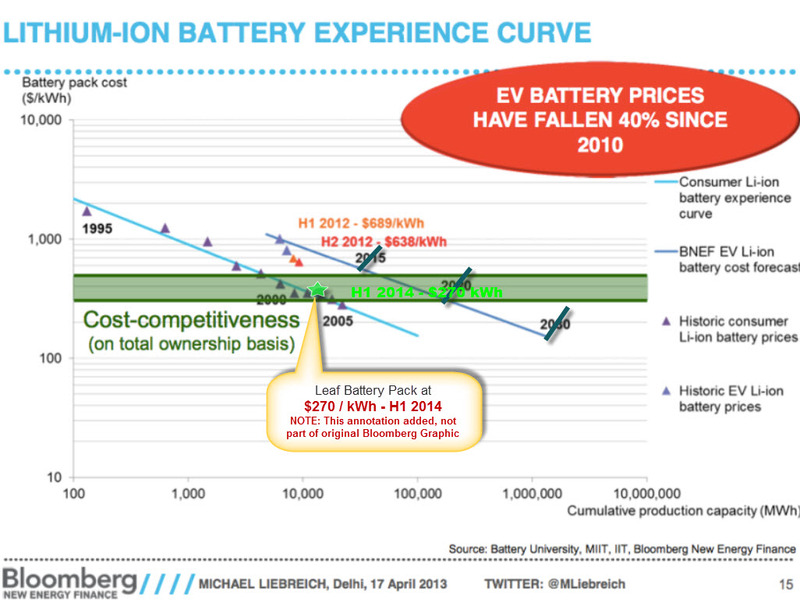 This site has compiled brief summaries of battery technology developments in the last 5 years. Iron Phosphate appears to be a promising alternative to Li-Ion as reported HERE and HERE . 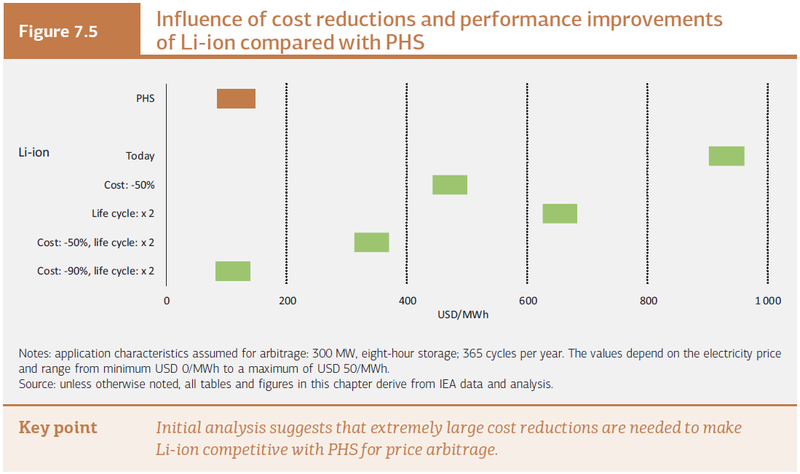 This is an interesting alternative to Li-ion though I think that the volume of Li-ion will enable it to be lower cost by 2020 and this technology will fade out. Their only chance is to bring down costs quickly and get established as a utility scale vendor quickly. That could give them the volume to remain cost leader. This entry was posted in EV PEV, New Energy Paradigm, Path to a New Paradigm and tagged Electric Vehicle, Energy Storage, EV, Lithium Ion, Remedy to Intermitency, Storage. Bookmark the permalink.